With the end of the year approaching, I want to give thanks to the company's that supply me throughout the year. I get people from around the world looking at my blog on a daily basis. Many people come looking for information regarding the companies that I purchase from. The people that represent these companies are professionals in customer service and they are why I continue to purchase from them. These are listed in no particular order. Princeton Huang and Steve Ruebens of Innovative Lighting Solutions have grown their aquarium lighting business into a major supplier in the year that I have been buying from them. From their website and eBay sales to the support that they have given to local reef clubs, Innovative Lighting Solutions are doing it right! Innovative Lighting Solutions is located in Palo Alto, CA. Look for the their exhibit at the Western Marine Conference 2006 in Sacramento. 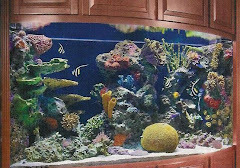 Jeff Turcheck owner of LifeReef Filter Systems, Morrison, CO, celebrates his 21st year in business supplying the hobbyist with expertly designed and expertly fabricated aquarium products in 2005. If you are interested in Jeff creating a fool-proof working system, contact him well in advance of your needs, he usually has some items in stock but production times can run 6-8 weeks. Leng Sy owner of EcoSystem Aquarium provides unique products that simply work. I use Fish Solutions and the Garlic Elixir in all of my clients' prepared fish food. A client had an angelfish, tang and butterfly that were affected with the hole in the head disease and lateral line disease, knowing that the diseases can be attributed to copper use, stray electrical current in the water or from vitamin C deficiency, and are curable, I discontinued the use of copper, added a grounding probe and started using Leng's Fish Solution. All fish have regained their tissue and are healthy. Leng will be a speaker and EcoSystem will be an exhibitor at the Western Marine Conference. Mark Hanson owner of Algae Free from Madison, WI, makes absolutely the finest aquarium cleaning magnets in the industry. Mark created a custom made magnet for me earlier this year for a very thick acrylic aquarium. You can find his products for sale through many of the on-line suppliers. Once my product leaves one of my many wholesalers in the Los Angeles airport area it is in the hands of Southwest Air Cargo. I have heard plenty of horror stories about air cargo issues, but Ron & Jamie at Reno's hub take great attention to my deliveries. The employee's in Reno care for the health of my animals, always ready to call me upon arrival (if I am not there waiting!) but also doing their best to place my cargo in a stable environment. And...They love my Leonberger Monty! Reef NutritionÃ Marine Live Feeds are produced by Reed Mariculture, the world's largest producer of marine microalgae concentrates for aquaculture. Randy Reed, co-owner of Reed Mariculture/Reef Nutrition recently spoke to the Marine Aquarist Roundtable of Sacramento (MARS) and introduced some of their new products. 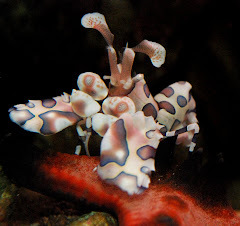 I am now stocking Tigger Pods (Jumbo sized copepods), Macro Feast (Red Gracilaria), Roti-Feast (Marine Rotifers and eggs) and Phyto Feast Live (Concentrated Microalgae). 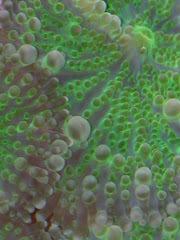 Reef Nutrition's Phyto Feast Live in my opinion is the best micro algae for the aquarium hobbyist. There are other's available, but none as concentrate as Reef Nutrition's. Reed Mariculture also supply algal feeds and zooplankton to universities, marine ornamental growers, and over 500 fish, shrimp, and shellfish hatcheries in 67 countries around the world. 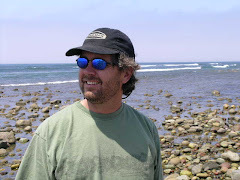 Randy Reed will also be a speaker and Reef Nutrition will be an exhibitor at the WMC 2006. I subscribe to Coral Magazine for many of my clients. Valerie Tann, Publisher's Assistant, has diligently seen to my subscriptions allowing my customers not to miss an issue. 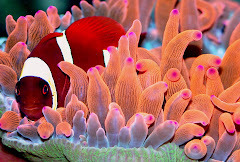 Coral Magazine is the best aquarium publication for saltwater enthusiasts. Coral is entering their third year of publication and has stressed many of their articles on the preservation of the marine environments. 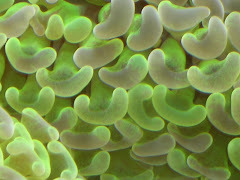 Eric Caamano, owner of Frag Farmer dot com and Central Aquarium located in Upland, CA, has been more than a supplier of some of the best coral pieces coming out of Los Angeles, but also a friend. Eric has always been available to chat and give advise not only about my business but in support of the Western Marine Conference. If you're a hobbyist and came across my site in a search for Frag Farmer, I highly recommend that you subscribe to his newsletter for up to date inventory lists. Frag Farmer will also exhibit at the Western Marine Conference. 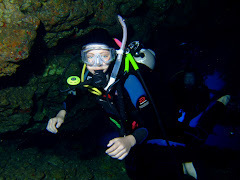 4200 pounds of Carib-Sea Aragamax Sand came from John, Sales Rep., and Custom Aquatics this year. Custom Aquatics has been a supporter of MARS through a number of group buys, including purchases of bulk carbon, TDS meters and refractometers. Customer service has been the pinnacle of Custom Aquatic since its inception. They have always and will always emphasize the customer. 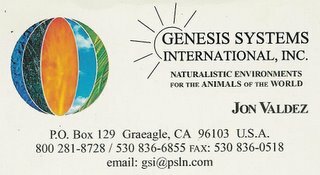 Genesis Systems International, Plumas, CA, have the capabilities to provide the most complete naturalistic ecosystem solutions for private residences and commercial properties. From design through project completion, they work to make your dreams a reality. 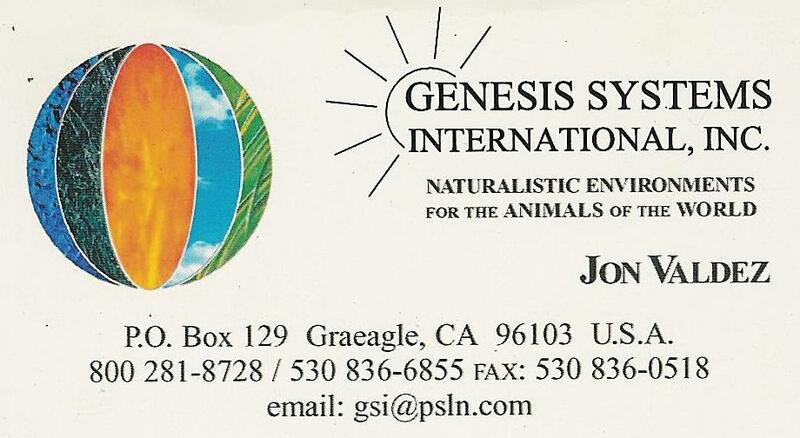 GSI specialize in aquarium construction, along with naturalistic ponds & waterfalls, planted terrariums, aviaries and custom reptile & amphibian habitats. Jon Valdez, Owner and Brian Hayes, Engineer, are working with me in making D's aquarium a perfect piece of art. They also have a 650 gallon room divider aquarium in progress in Arrow Creek, Reno, NV. There are a few people that I don't have logos or website links to that have been instrumental in the growth of my business. Shelley Fallon and Fallon Multi Media, Kings Beach, CA, has been doing all of my marketing from the onset. With my photography and advertising background, working with me could have been difficult. But, Shelley completed all of our projects with ease and perfection. I look forward to doing more work with Shelley. Soon! Chris Wirth, Blue Planet Water Works, Vacaville, CA, has just started the construction for DeWayne's filtration system in Incline Village, NV. With Chris' knowledge and craftmanship, this aquarium is going to be incredible. 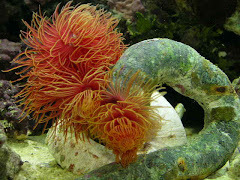 Bayside Aquarium Supply is Marine Depot's wholesale division located in Anaheim, CA. Greg, Sales Manager, supplies me with ESV's B-Ionic Calcium/Alkalinity Buffer's. Some of my customers have termed ESV's product as "liquid gold" because of the excellent results with coralline growth. Happy Holidays and I look forward to another great year in 2006. 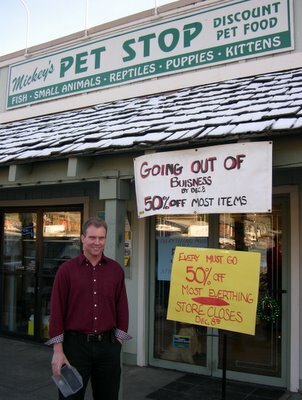 The town of Truckee is losing a great asset this week when Mike Mickey and his mother Rose Mary close up their over 20 year old business, Mickey's Pet Stop & Laundermutt. With the loss of Bill Mickey, Rose Mary's husband, and various other challenges, the time has come to close. I met Mike over 15 years ago while he was still in high school and running the Tahoe City store. Mike would do hands on presentations to teach local school children about the many animals he kept. It was then that I rekindled my childhood interest in fishkeeping. 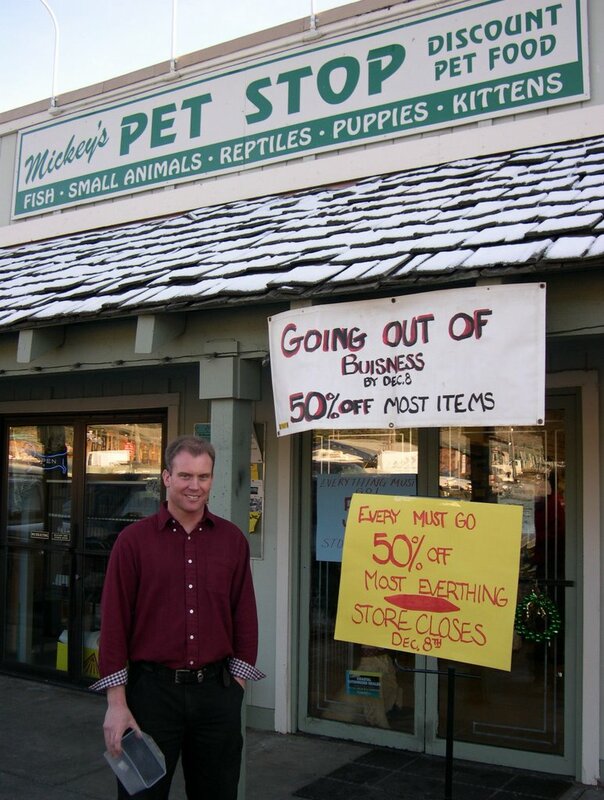 Mickey's has sold thousands of fish, reptiles and soft furry animals over the years. The Laundermutt has cleaned and trimmed many Tahoe-Truckee dogs and has sold what must be more than a million pounds of quality dog food. It was on many an occasion I overheard parents telling their children they were at the Truckee zoo. Mike has big plans for the future. As a Reno resident, he plans to continue to use his retail knowledge and open the best aquarium store in the area. Mickey's has supported my business for many years and I look forward to seeing Mike's plans come to fruition and continuing our excellent business relation/friendship.